On Tuesday, January 03, 2006, I was contacted by a retired couple living in the general area of the confluence of the Harrison and Chehalis Rivers. The couple explained in an e-mail message to me that they had recently visited the audio section of the West Coast Sasquatch website and found recordings of purported sasquatch vocalizations that sounded very similar to sounds they had personally recorded on their Hi-8 camcorder. The couple went on to inform me that they had lived at their present location on the Harrison River for the past 10 years, and were both lifelong residents of the Mission and Deroche areas in B.C.’s Fraser Valley. They also stated that they both loved to fly fish for salmon, steelhead and cutthroat trout on the Fraser, Harrison and Chehalis Rivers. The couple went on to assure me they spent a great deal of time outdoors in their neck of the woods. They also stated they were keenly aware of most sounds that the animals, birds and insects indigenous to the Harrison and Chehalis River areas made during the day and the night. During the early morning hours (approx. 5 a.m.) of October 03, 2004, both witnesses were awakened by what they described as extremely loud, stressful, vocalizations filled with an urgency that could not only be heard, but also sensed and felt. The couple stated these vocalizations sounded like they were emanating from two individual subjects with noticeable differences in tonalities. The witnesses also said the creatures or subjects were frantically calling each other on either side of their property. These unrecognizable screaming sounds thoroughly confused and terrified the retired couple. 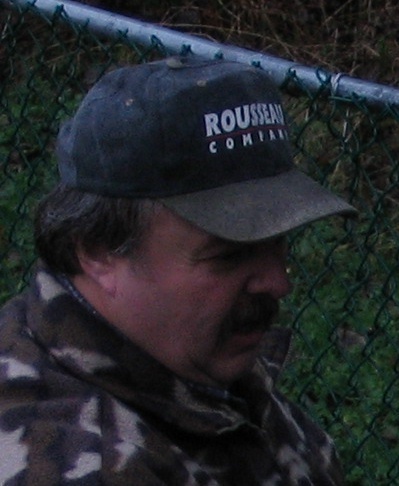 A fter locating similar sounding recordings of purported sasquatch vocalizations on other website—and filing a report regarding their experience—the witnesses were contacted by veteran sasquatch investigator John Green of Harrison Hot Springs. John Green interviewed the witnesses over the phone and submitted his report on Monday, October 04, 2004. This report was the first possible sasquatch vocalization that the witnesses remembered hearing from their location on the Harrison River. They did not record this first vocalization. At John Green's insistence the couple have kept their Hi-8 camcorder beside their bed so a recording could be obtained if and when another vocalization was heard. According to the witnesses, they have experienced several more possible sasquatch vocalizations in their area since October 2004. One vocalization they heard last January was said to have scared them half to death. Then, on February 01, 2005 at exactly 2 a.m., the retired couple heard another loud vocalization close by and quickly placed their Hi-8 camcorder outside and closed the door. The result of their efforts can be heard in the subsequent recording that I obtained after visiting and interviewing the retired couple at their home. It may be interesting to note here that the couple relayed to me that their neighbor’s dog had gone absolutely nuts with barking and whining and their mid-sized poodle cowered at the foot of the bed and shook uncontrollably when the vocalization(s) were taking place in the distance. However, as the creature making the sounds approached closer to their home the neighbor’s dog went completely quiet. During our interview the witnesses stated that all they really wanted was someone with sasquatch experience to come out to their home, listen to their tape recordings, tell them they weren’t nuts, and settle their curious minds as to what could possibly be making the strange sounds they’d been hearing in the night. The couple told me that they were terrified because what ever was making the strange, loud screams was very close to their house, and they are older retired people wanting to feel secure and safe in their twilight years. When I was bidding my farewells to the retired Harrison River couple, they confided to me that they had contacted several sasquatch research organizations in the USA and Canada, but for some strange reason nobody would take the time to come out and talk to them in person or listen to their recordings. To sum up my investigation, I would like to state that the retired Harrison River couple that recorded the strange sounds with a Sony CCD-TRV128 Hi-8 camcorder—on a date and time stamped Hi-8 video-cassette tape—were certainly upstanding, convincing witnesses in the retelling of their account(s). It may also be interesting to note that the Harrison and Chehalis River area where they reside and recorded the Chehalis sound does have a long history rich in recorded sasquatch sightings and activity. I would also like to state that I have recently received the name and phone number of a male witness who claims to have seen a dark colored, extremely fast moving, giant human-like creature from precisely the same location as the retired couple recorded the strange sounds. However, from the prospective of a serious sasquatch investigator, the fact remains that while the Harrison River couple’s recording was extremely interesting and thought-provoking, there is simply no way to corroborate or associate it with sasquatch activity. The strange sounds recorded near the confluence of the Harrison and Chehalis Rivers can be compared to other recorded possible sasquatch vocalization sounds but are as of yet remain unidentified.